City living comes with plenty of perks—but space is definitely not one of them. Sure, you can order a vegan, gluten-free, non-GMO, raw dish of cuisine inspired by the world’s most obscure country and have it delivered at 3 a.m. But somehow that world starts to feel awfully small when you realize you’ll have to eat that meal standing up, on one leg, because there’s not enough room for a table and a bed in your $3,000-a-month apartment. So if you’re going to be all constricted while eating strange meals, you may as well do it from the comfort of a moving car. There are a number of glorious natural journeys existing just outside some of the country’s biggest cities—though they’ll feel worlds away. If you’re an urbanite looking for a quick getaway, it might be time to trade in your cramped living spaces for the open road. 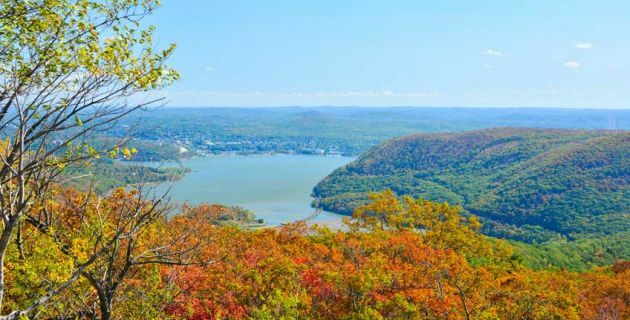 Bear Mountain, next to the Hudson River, in the Autumn is a sight to behold. It may be easy to forget that the city is attached to a state, but that state also happens to be full of beautiful scenery—and that scenery happens to be easily accessible for anyone brave enough to drive off the over-occupied islands. Bear Mountain State Park is just an 1-1/2 hour north of the city, with a skyline just as naturally beautiful as New York’s is shining and splendorous. Part of the Appalachian Trail, the mountain offers a number of amenities, including boating, hiking, camping, skiing, and even ice skating—depending on the season. There’s also a beautiful hand-carved merry-go-round and access to Perkins Memorial Tower, which covers some of the area’s best views. And the trip there’s not bad either: It takes you up the lush cradle of the Hudson River, through a number of sleepy valley towns full of people who are slightly less likely to hustle you down a sidewalk or honk incessantly. Point Dume State Beach in Malibu is designated a California State Preserve. Driving around the corner in L.A. could easily eat up half of your day, so if you’re going to invest all that time in your car, you may as well use it to go somewhere different. The fabled Highway 1 is happily—and relatively easily—accessible for Angelenos, offering the chance to hug the gorgeous Pacific coastline for up to 655 miles. 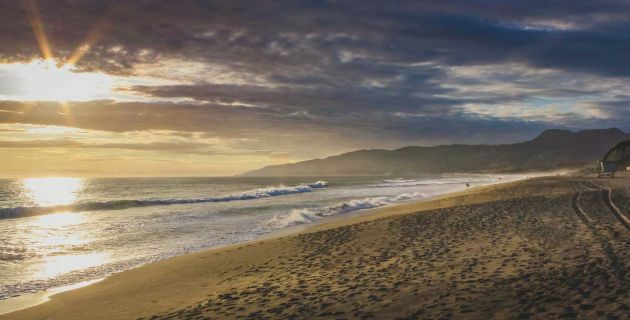 But if you’re looking for a shorter-term trip, Point Dume State Beach offers all the otherworldly beauty of the California coast in just an hour and 20 minutes. To get there, you’ll also get to drive through Malibu, one of the country’s most objectively beautiful areas, where the road banks between majestic green mountains and big, empty coastlines, while passing by a number of adorable—and delicious—eateries along the way. Keep in mind, some parts of the 1 near Big Sur may still be shut due to a road collapse in 2017. Once you reach the park, there are a number of ways to enjoy it, from snorkeling and scuba diving to windsurfing and hiking. Anyone seeking a less-active time can have a picnic or join a guided tour. True to Los Angeles form, you may even spot a star there. This view is courtesy of Bellingham Bay from the Chuckanut Drive in Washington state. The Emerald City is already pretty lush but removing any manmade structures from the skyline only enhances the area’s beauty. 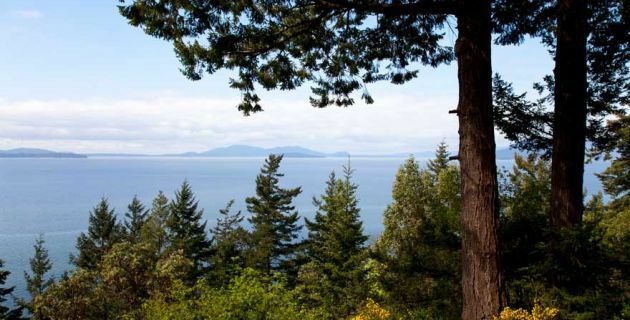 One of the best and easiest ways to do so is hopping on Chuckanut Drive, a winding and wondrous road skirting some of the west’s most wild coastline, where the Cascade Mountains meet the sea. Eventually, the highway—sometimes referred to as “Washington’s Big Sur”—will lead you into the city of Bellingham. But along the way, you’ll encounter pastoral farmlands, tulip fields, forests, mountains, seaside cliffs, and any number of waterfalls. Meanwhile, most of the unnatural edifices you come across will be selling the type of fresh seafood any foodie would stay up at night pining over. All of that in just 24 short miles, making it a pretty sweet alternative to taking the dreaded Interstate 5. Few things are as majestic in the U.S. as the Rocky Mountain National Park. Most of the people who live in Denver likely do it, at least in part, for easy access to the glory of nature. One of the quickest access points to that glory is nearby Gem Lake Trail. 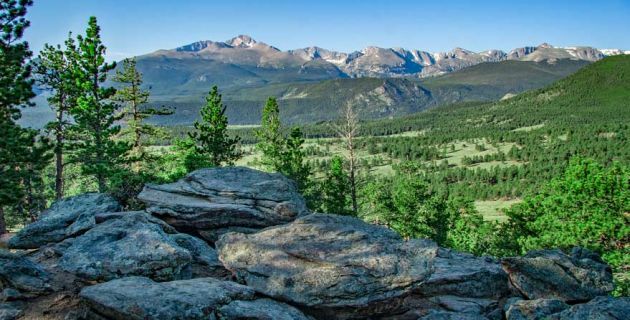 Sitting on the outside edge of Rocky Mountain National Park, the trail loops 3.5 miles and gains 1,000 feet in elevation while offering some spectacular vistas of Longs Peak, Mt. Meeker, the Continental Divide, and the neighboring town of Estes Park. You can even see Paul Bunyan’s Boot there—although you may note that it’s actually made of rock. The route there from Denver may start out slow and congested, but once you hit the town of Lyons, the landscape really starts to open up. You’ll delve deeper into national- and state-owned lands preserving all the colors of Colorado. And those roads were made for nothing if not enjoying the drive, with infinitely huggable curves, streaming fresh mountain air, and unparalleled views. 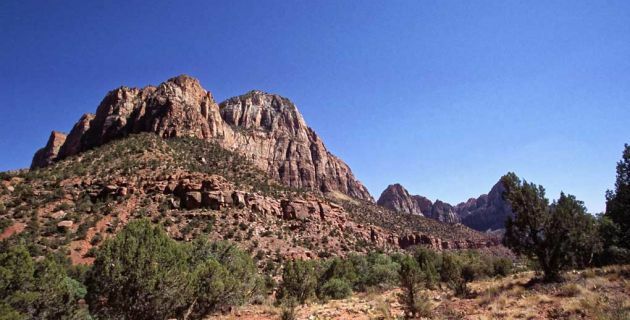 Although this is your longest trip out of a city, Zion National Park in Utah is worth the drive. This is the longest trip on the list, but believe us—it’s worth it. Nothing could be further than the fast-paced neon action of Las Vegas than the strikingly beautiful and stoic cliffs of Zion National Park. And the natural wonder is just a 2-1/2 hour drive away. The trip there will curve through Northern Arizona and, eventually, neighboring Utah, with the desert only acquiring a more vibrant paint scheme as you ascend in altitude, finally stopping at the park’s cream-colored cliffs, wrapped with ribbons of red and pink and dotted with ridges of green trees. Once there, you’ll have a world of possibilities at your fingertips, including camping, biking, rock climbing, endless hiking and backpacking opportunities, and some of the world’s finest stargazing. Guided tours can also be arranged, but in a place so abundant with beauty, you may not even need them. Simply wander around, like you were trying to find the exit in a casino.